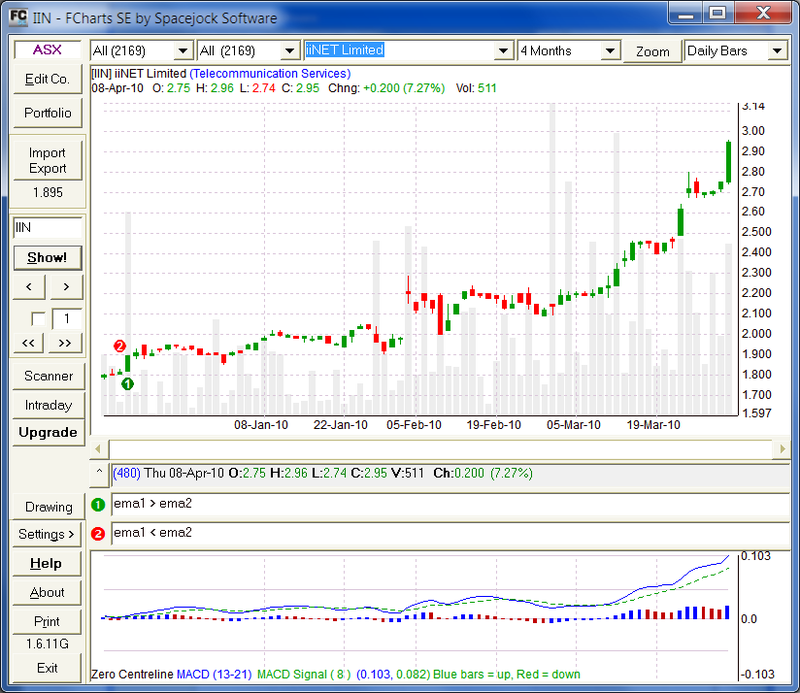 FCharts - Free stock charting software. FCharts SE is a free stock charting program which will import price data from a wide range of sources, displaying it as OHLC, Candlestick and Line charts. It has a number of built-in indicators (MACD, RSI, Exponential and Standard Moving Averages), or you can write your own with the inbuilt formula language and display them as standalone charts or overlays. You can draw trend lines with a few clicks of the mouse and print your charts in full colour or black and white. Free software from the author of the Hal Spacejock series.